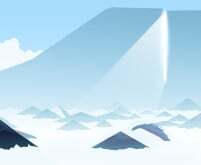 Pixel art by Sven Ruthner is currently for sale at Cook & Becker. The Faces series is typical of the work of German artist Sven Ruthner (1980), who has received international appreciation for his pixel art. Ruthner frequently limits himself to the very limited color palettes from the early days of the personal computer, such as CGA, EGA and ZX Spectrum color palettes. He also takes into account the technical limitations of specific computers from that era. 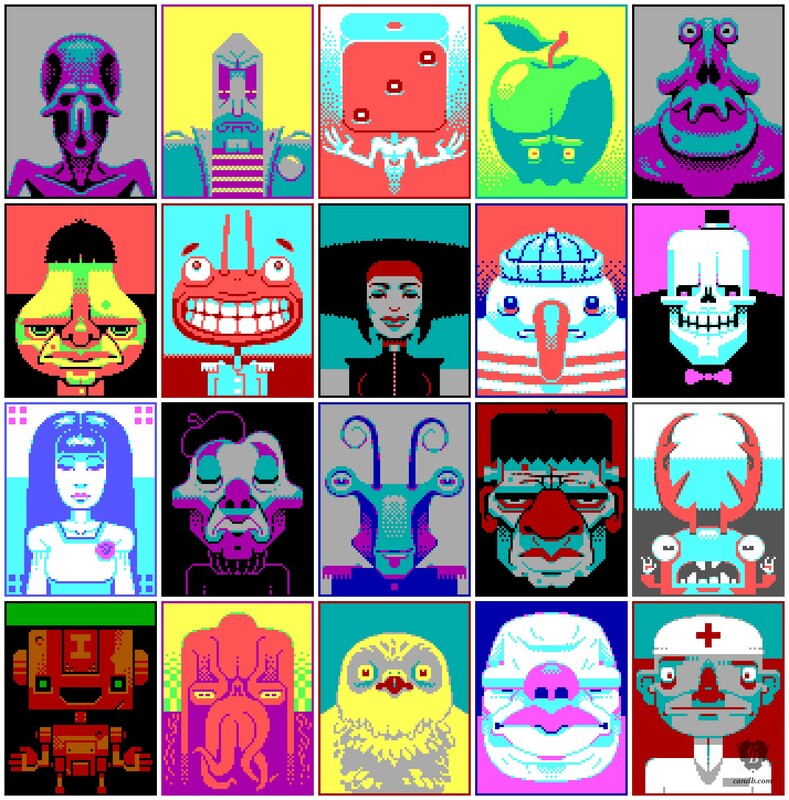 CGA Faces, for example, is made using only 16 colors. There are no cheats, no workarounds. "Challenging myself in this way strengthens the art I produce," he says. "I'm forced into a dialogue with the art, because I need to find unconventional solutions for the restrictions I place on myself. That process of creating, the dialogue with the machine, is also what excites me the most about making this type of art." The finished pictures of Sven Ruthner often contain a dash of humor, and possess a universal appeal that harks back to a pioneering, more innocent age of computing. Ruthner takes inspiration from theater, language and games, but the influence of the demoscene subculture is also obvious in his work. 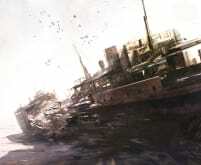 This is shown forth in the themes of the images and the colors used, but also in more subtle ways, such as an image being hidden within another image. In some of Ruthner's series of portraits, another portrait is hidden. Only digital enhancement can make this obvious. An artistic wink to the still-current practice of hiding or encrypting data in images, perhaps? Browse our website to find out more information about limited edition pixel art prints by Sven Ruthner now available for sale. Der 1980 geborene Sven Ruthner lebt und arbeitet in Deutschland. Er ist vor allem für seine Pixel-Art bekannt, die internationale Aufmerksamkeit erregt hat und in Pixel-Art-Foren und in der Demoszene weithin geschätzt wird. Copyright: Sven Ruthner - Cook & Becker B.V.